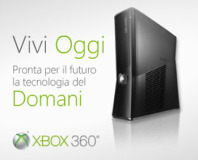 Images from some Italian adverts have apparently leaked the news that Microsoft is planning an Xbox 360 Slim console for the future, according to Italian website ConsoleTribe. Microsoft has not yet commented on the images, having been too busy announcing that the Natal controller will be called 'Kinect', but is expected to give an official announcement later this week at E3. 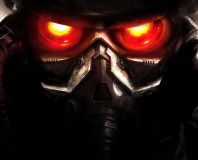 The adverts were apparently shown on a number of Italian websites ahead of schedule and have since been removed, though GI.biz claim the validity of the ads is backed up by other sources. 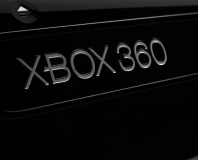 If the rumour is indeed genuine then Microsoft's Xbox 360 Slim follows on from Sony's own PlayStation 3 Slim, which was unveiled at GamesCom 2009. No price points or release dates have been leaked for the Xbox 360 Slim, but the adverts do claim that it will come with a 250GB hard drive and built-in WiFi. It'll be smaller or slimmer too, obviously. Check the advert below, then let us know your thoughts in the forums.